Omega-3 reduces inflammation.By feeding with omega-3, it will be possible to reduce a number of inflammatory conditions in the body and thereby positively affect or diminish muscle stiffness, joint problems, respiratory problems or hoof problems. Over the past few years we have constantly heard about the effects of omega-3 in both humans and animals. Much of the information has been scientifically based, but much has lacked the necessary grounding in research. What we have all understood is that unsaturated fats are better than saturated. 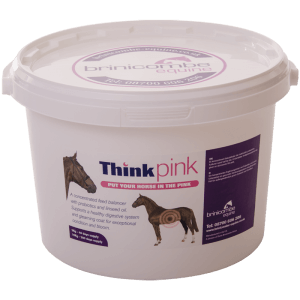 In horses we have fewer problems with cardiovascular diseases than in humans, and that is not the reason why we should give our horses omega-3. Our sources of unsaturated fatty acids are mostly vegetable oils or fish oils. In most plant oils, the omega-6 content is significantly greater than omega-3. In fish oils, this will be the opposite; that is, almost exclusively omega-3. Fat is important for how the body responds to inflammation. Inflammation occurs in the body in response to external or internal influences. We get an infection as a result of a wound, a knock on the body, excessive heat or cold, bacteria, viruses, parasites or intensive training, etc. The inflammation is basically an important and desired response. In some cases, there is an overreaction or a reaction to things that should not be responded to. The degree of response depends on nutrition. Omega-3 intake will be able to reduce the inflammatory response and thereby reduce inflammation in joints or muscles, reduce respiratory problems or reduce skin and hoof problems, depending on where we have an inflammatory condition. 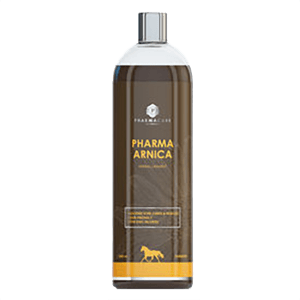 All mammals are dependent on a supply of essential fatty acids because they are unable to synthesize these themselves in their bodies. 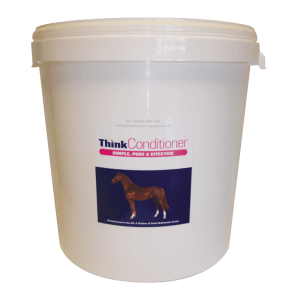 In normal feeding, the horse will usually receive an excess of omega-6 compared to omega-3. All oils are broken down in the body. Omega-6 breaks down into arachidonic acid and omega-3 is broken down into EPA and DHA. These substances are embedded in cell membranes in the body’s cells. When the body’s defenses are mobilized and these fatty acids are released as an immune response, there is a big difference in how strong the body’s reaction will be. Fatty acids are converted into substances that are active in an inflammatory process. EPA/DHA from omega-3 causes a significantly smaller inflammatory reaction than the substances formed by arachidonic acid from omega-6..
By feeding with omega-3, it will be possible to reduce a number of inflammatory conditions in the body and thereby positively affect or diminish muscle stiffness, joint problems, respiratory problems or hoof problems. 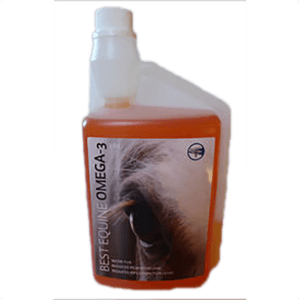 Therefore, we give our horses good quality omega-3 oil. Pharmacare Best Equine omega-3 has these characteristics. You should give your horse omega-3 all year.